Sunset cruise June Bahtra. If you are looking for dinner cruise Tour options around Phuket, take a look at this. 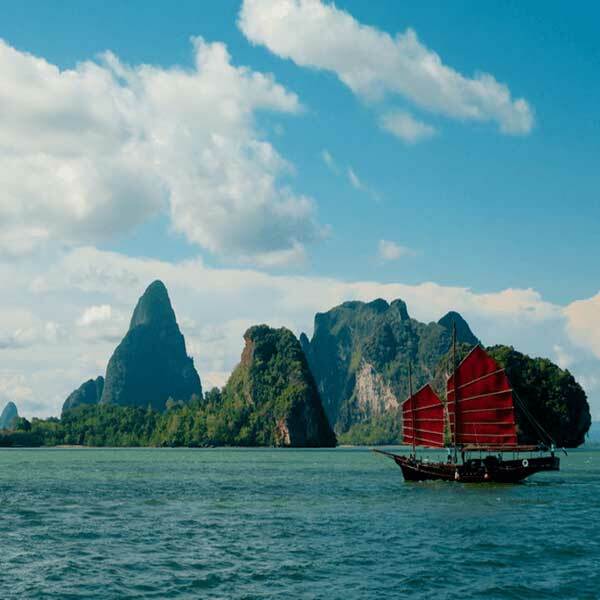 This is a sunset trip on the same traditional Chinese Junk style boat around Phang Nga Bay, it really is an amazing way to see the Bay and cruise around the islands. With only 30 people on board you have plenty of room to relax and enjoy your trip. When looking for a tour it depends what experience you are hoping to get out of it. This is a different itinerary from our other day version June Bahtra trip. You do not go to James Bond island. On this trip you have a really relaxing leisurely cruise in style to Lawa island, where you watch the sunset over Phang Nga Bay. After sunset you are served a wonderful tasty Thai Buffet dinner on board the boat while cruising back to Phuket. This sunset cruise June Bahtra is a romantic and relaxing way to see Phang Nga Bay. 15.30-16.00 Guest Pick up from your hotel by minibus. 16.00 Arrive at Yacht Haven Pier and check in. 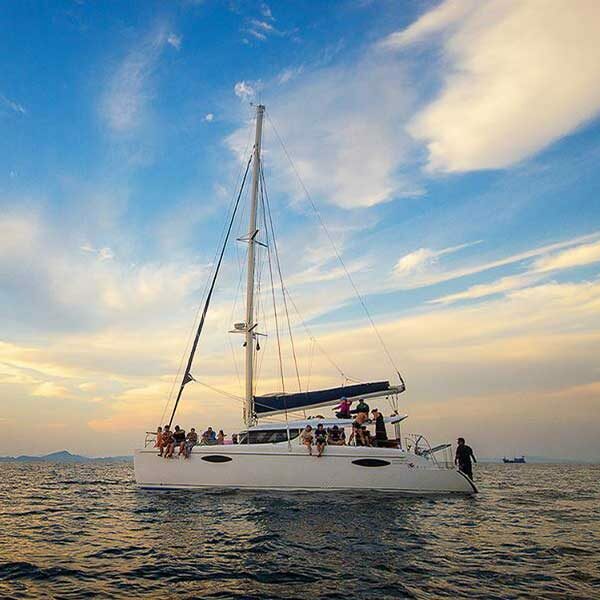 17.00 Embark on board “June Bahtra” and cruise through “Lawa Island” to watch the sunset over “Phang Nga Bay”. 19.20 Thai buffet dinner on board. 20.00 Return to “Yacht Heaven” marina and transfer to the hotel. 21.00 Arrive at the hotel. Rent hire private speed boat Samui Phuket Krabi Pattaya. We have some awesome speed boat options for you to choose from, why not rent a private boat for your self or your family or travel group. A much more personal experience. Full Day Naka Noi island. Another great fun filled island location that is very close to Phuket. Lots of activities to choose from so bring your energy, OR if you prefer just lie on the beach and relax. Sunset dinner Koh Madsum Koh Tan Tour E. Looking for a cheap sunset island tour? Take a look at this one. A wonderful afternoon on the water at a couple of amazing islands, watch the sunset over Thailand.